NEW!!! Supersonic Rock’n’Roll readings 2010 NEW!!! 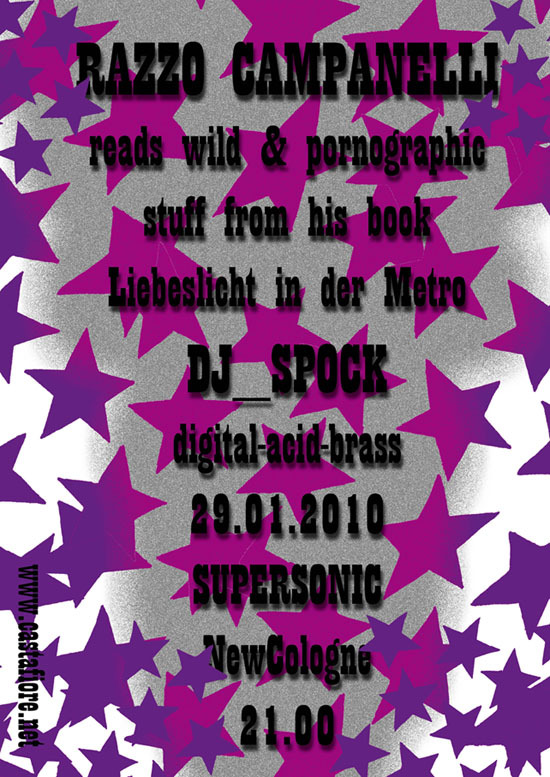 Digital-ACID-brass Sounds with DJ_Spock – he is ready for burning the dancing floor, maybe the whole supersonic!!! Location: Supersonic, Weichselstraße 15, 3 min. walk from S Hermannplatz/ S Rathaus NewCologne!! !